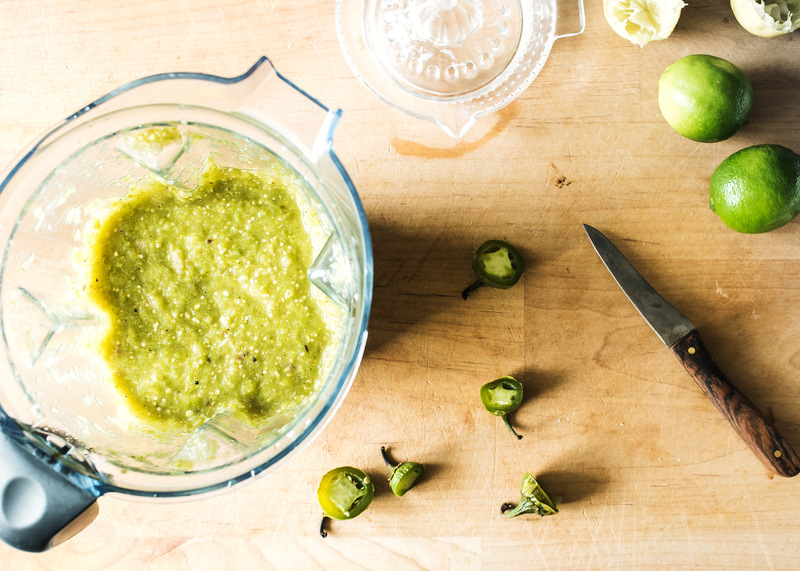 Please, if you do anything for yourself this end of summer beginning of fall season, let it be to make this tomatillo salsa. It’s so bright and fresh and just all around so easy to put together — you’ll be glad you tried it! To be honest, I didn’t know what a tomatillo was, let alone what to do with it, until a few years ago. Then one day I found a pile of them at the farmers market and filled my bag and took way too many home with me that day. And that’s one thing I absolutely love about frequenting the farmers market. You can almost always find something new you’ve never tried before at the market. Anyway, let’s chat about this salsa!!! It’s a breeze to make and it will brighten up just about any dish. 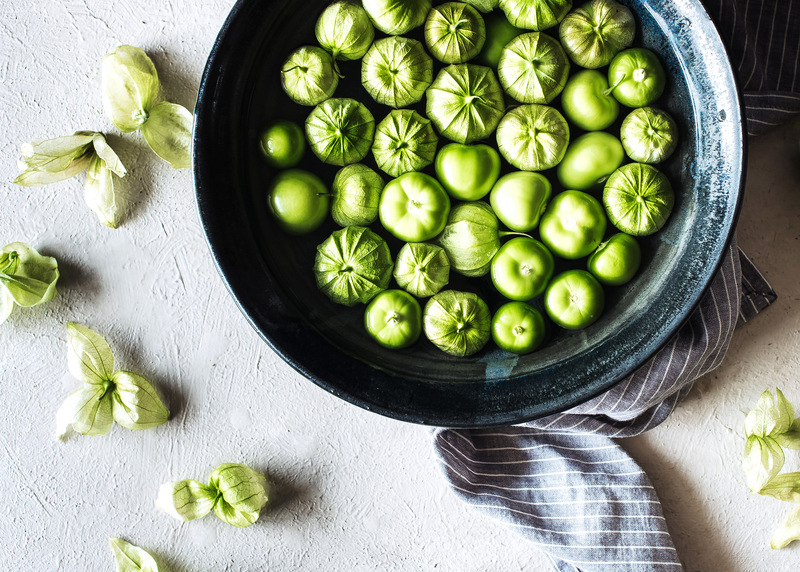 Don’t be intimidated by the husks on the tomatillos. They are perfectly easy to remove. I recommend filling a large bowl with warm water. Put the tomatillos in the bowl and as they soak, gently remove the husks. 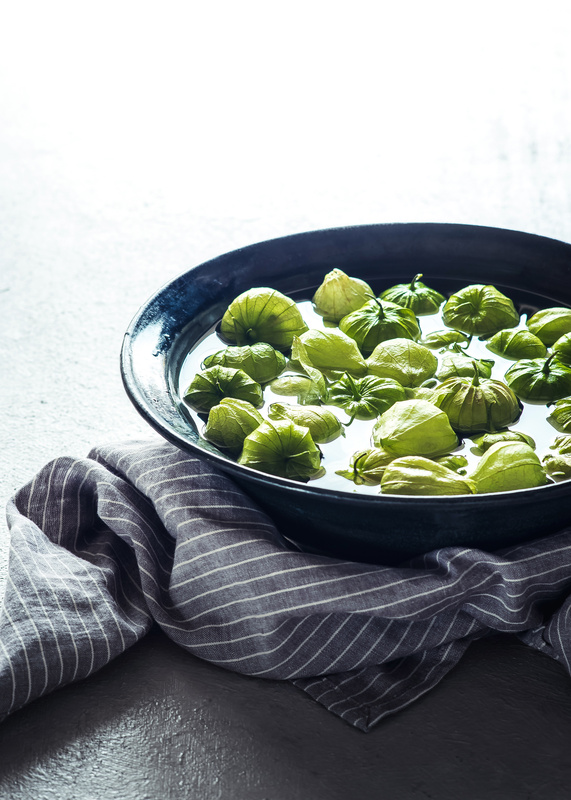 Once you’ve got the husks removed, gently scrub the tomatillos with your fingertips to remove any excess stickiness. Then remove from the water and let drain. The rest of the recipe is a breeze. Lay everything out evenly on a sheet pan. Broil for about 7-10 mins until everything is nicely charred. 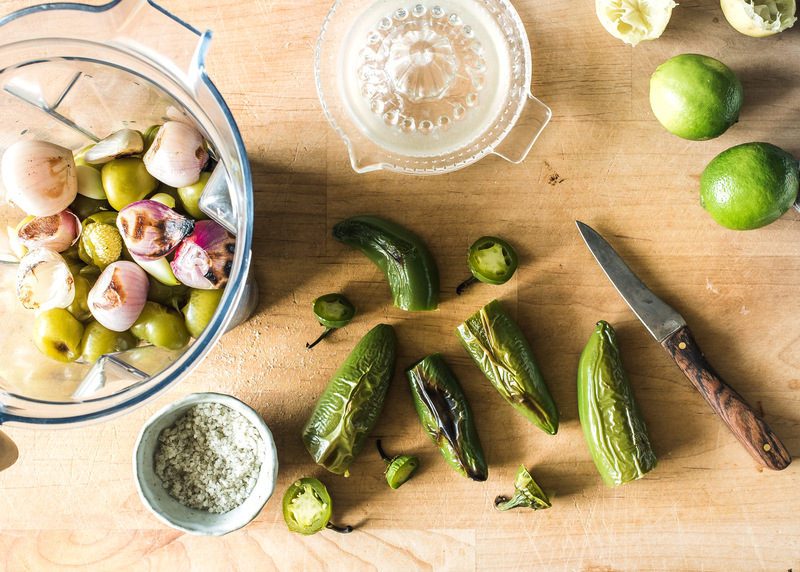 Once cooled, remove the stems from the jalapeño peppers and remove the garlic from their skins. Toss the lot in your blender and away you go. Finish with a healthy pinch of sea salt and some fresh lime juice (that’s a must). I’ve managed to freeze the completed salsa and also the broiled elements (before blending) with great success. This salsa will also keep for a good couple of weeks in the fridge as well. Trust me, you’ll go through this stuff quickly though so my best advice is to make extra! I think it’s important that you know how I procure these ingredients sans plastic and unnecessary packaging. And I also want you to know that just because we’re saying “no” to packaged foods, we’re not limiting ourselves to flavorless boring vegetable and grain dishes. 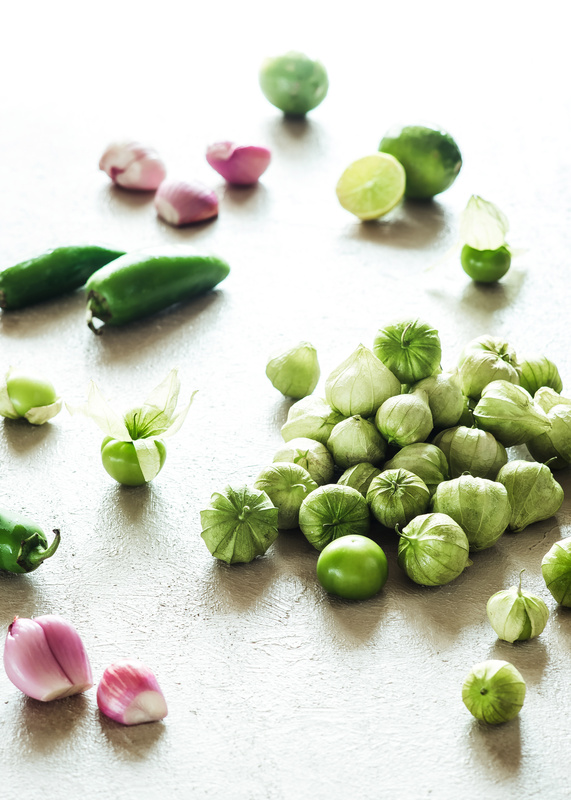 Tomatillos, jalapeños, garlic and shallots/onions can be purchased sans plastic and usually from the farmers market when in season. I buy limes from my grocery store and just deal with the stickers as trash. Also, the limes aren’t local, unfortunately, but what is life without fresh lime juice? I just don’t know. The salt can be purchased in bulk at my grocery store; I bring my own glass jar for that. Remove tomatillo husks and rinse under warm water to remove stickiness. 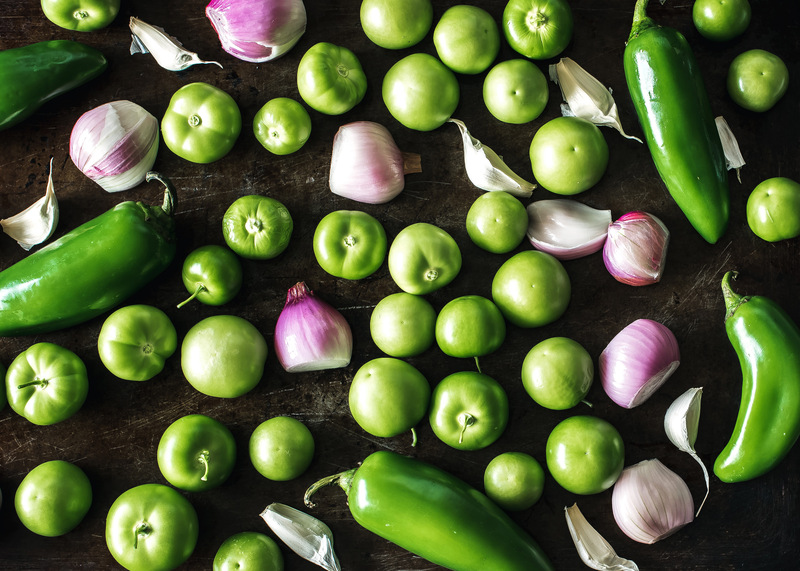 Spread peppers, garlic, onion and tomatillos on a baking sheet and broil, 1 to 2 inches from heat, turning once, until tomatillos are softened and slightly charred, about 7 minutes. Peel garlic and pull off tops of chiles. This recipe is slightly modified from Epicurious.